Nick's Reviews and Mary Poppins Two! Nick discusses his media consumption over the holidays and offers some surprising, and also some un-surprising info on just how those movies panned out. Also, watch Haunting of Hill House and....Go To DISNEYLAND! Derek and Nick catch up from the Christmas hiatus and discuss the goings on over the holidays. Also...Nick comes with a few stories to tell and...a few reviews. It's part 1 of the comeback show for 2019, don't miss out on To The Echo! It's A To The Echo Christmas Spectacular! Derek and Nick spend two LIVE hours tonight wrapping up the year, playing some games, learning about Nick Bosley during a three-part Behind The Curtain Episode, reminiscing, and looking forward to the holiday season. Don't miss this special two hour live event, when To The Echo gives you some holiday cheer! Derek and Nick discuss the festival of the holidays at Epcot, the purchase of Furby's as a full-fledged adult and...VR and AR applications that are just simply, out of this world. 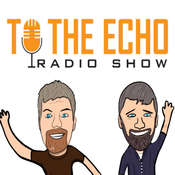 Don't miss this episode of To The Echo and while you're at it, why not subscribe!? It just might change your life! Holy Cow! Its the Holy City Sinner! 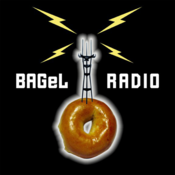 Derek and Nick talk with Christian Senger, the founder and head of the Holy City Sinner, event magazine out of Charleston, SC! It may seem like an army of people running this roster of "To-Do's," in the Holy City but tonight, we'll find out just what makes that possible! Don't miss, To The Echo Radio Show!